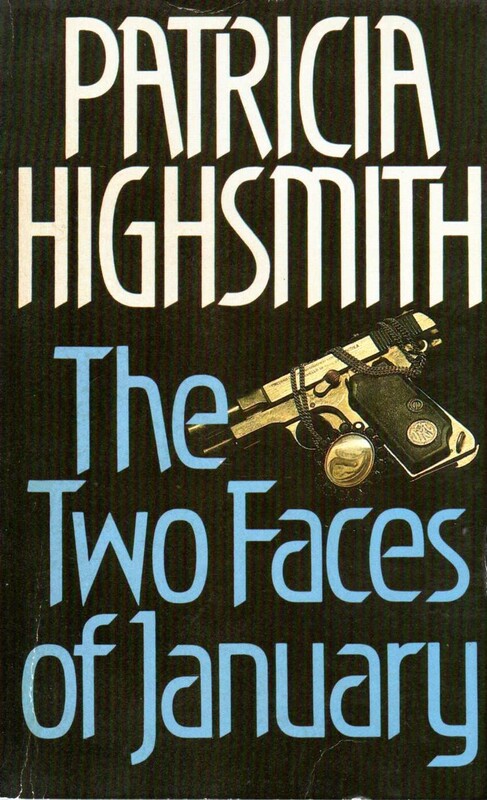 Patricia Highsmith’s psychological crime thriller was published in 1964 and the Crime Writers Association voted it the best foreign crime novel for that year. Highsmith ploughs the same territory as she covered in The Talented Mr Ripley and Strangers on a Train – delving into the lives of not particularly sympathetic characters when they rub against each other. As the interaction deepens, the story grips. Rydal Keener is a bit of a loser, a young American travelling Europe on an inheritance, castigated by his family for not attending his unsavoury father’s funeral. While in Athens he spots a man called Chester MacFarland who reminds him of his father. Chester’s young wife Colette coincidentally evokes memories of Rydal’s disastrous relationship with an under-age Agnes ten years ago. Chester is a con-man, dabbling in stocks and shares and not averse to the odd Ponzi scheme. Unfortunately, it seems that the forces of the law are catching up to him and he’s glad he’s not in the US. His wife Colette is quite aware of his dubious business and is happy to spend his money. When the law catches up with Chester, it all goes wrong and a death occurs. At this pivotal point, the fates of Rydal and Chester become entwined, with Colette a tantalising attraction between them. 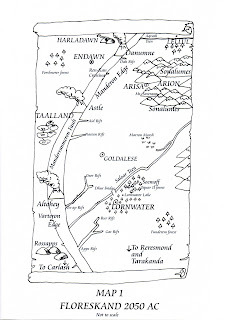 The MacFarlands’ reliance on Rydal is complete, for he is versed in Greek, Italian and French. There follows an intriguing cat-and-mouse chase to Crete and France, with another quite unexpected death in the mix. Highsmith’s plot and her insight into her two main characters maintain interest and kept me turning the pages to find out how it would end. I found it interesting that it began with an unattended funeral and also one that would be attended. The book’s title is purported to relate to the Roman god Janus, the book emphasising the two faces presented by Chester and Rydal. Some classic tragedy allusions have been credited by the occasional reviewer, though I find those to be quite a stretch. 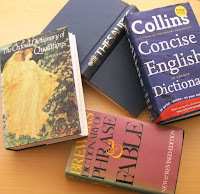 Titles can of course relate to a book’s theme rather than its textual content. The events begin in January. It is not a particularly well written book, beginning with lengthy backstory ‘tell’ for both main protagonists. There are some very lengthy paragraphs – two pages (pp3/4), one and a half (pp10/11), and the point of view jumps between characters in a few early scenes. And what on earth is a ‘ball point fountain pen’ (p274)? And yet the situation and the characters hold until the redemptive end. 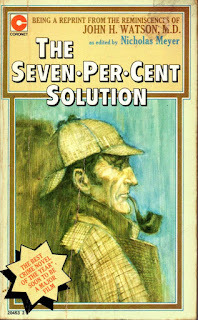 Nicholas Meyer’s Sherlock Holmes pastiche was published in 1974, and it achieved best seller status. It pre-dated Michael Dibden’s classic The Last Sherlock Holmes Story by four years. Both books deal with a Holmes whose mental health becomes seriously suspect. Watson’s ‘lost’ manuscript reveals that this tale was not published in the good doctor’s lifetime because it actually proved that neither ‘The Final Problem’ nor ‘The Adventure of the Empty House’ were true, but figments of his imagination! This heresy is quite convincing, as he tells it. Holmes’ cocaine habit was to blame, in fact. The title relates to the dosage Holmes administered to himself. When Watson learned from a Professor Moriarty that the ‘Napoleon of Crime’ was indeed an innocuous maths teacher, the doctor resolved to wean his good friend off the drug. Easier said than done. He is drawn to contact Freud in Vienna, who has had some success when dealing with the drug. The first half of the book is concerned with Watson contriving to hoodwink Holmes into travelling to Vienna where he can be treated. There are several poignant moments while Holmes undergoes ‘cold turkey’. It is during his time with Freud that Holmes and Watson are drawn into a conundrum posed by one of the psychoanalyst’s patients who has been badly traumatised and is unable to speak. It’s a dashed clever contrivance, engaging to begin with, and then even livening up towards the end. There is much more action than either Watson or Holmes would undergo in the original canon, but it works well, and neatly sews up a few loose ends in the process. The twist, revealed while Holmes is under hypnosis, explains why the great detective should have begun his cocaine habit, and it is so surprising to Watson that he vows never to mention it to his friend; another reason why he refrained from publishing the work. An entertaining addition to the vast collection of Holmes pastiches. Meyer wrote two other books in this series: The West End Horror (1976) and The Canary Trainer (1993). Both Jen and I are slowly recovering from the dread virus, though neither has much voice most of the time. Our daughter Hannah is also on the mend, but it will take longer after pneumonia, but she is up and about, and driving, and coping with Darius and Suri. The progress with the book. 19 - 1426 plus map drawing! Total words since January 1 = 49k. Although I 'finished' the book on 18 March, I knew there would be additional text to write as I began self-editing. Some of the lower word-counts from March 21 reflect the self-editing time spent. I'm now going through the book to rationalize word-repetition. So far, the repetitions of particular words have not been excessive, considering the final word count! This process may add words, or even remove several (being considered redundant). Total words for the novel = about 126,000. Synopsis and blurb written. Just the proposed cover-design to rough out for the publisher, who of course has the final say. 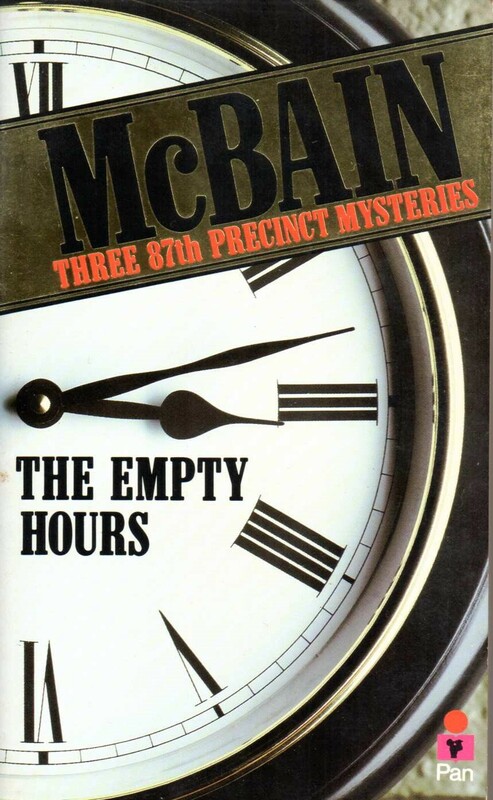 Here we have three mysteries from Ed McBain’s 87th Precinct. ‘The Empty Hours’ concerns the corpse of Claudia Davis, who was young and rich. Detective Steve Carella works with the usual precinct detectives to crack a case that ‘had been crazy from the beginning. Some of them are like that.’ McBain believed that coincidence and a good memory help cops as much as detailed field work, and this case is a good example of both. I do wonder if he was being playful, or was it mere coincidence, when one of the victim’s cheque stubs was numbered 007. (p55) Bearing in mind that this short story was probably penned in 1960, long before the James Bond mania took hold. ‘J’ (1961) begins with the murder of a rabbi in an alley next to the synagogue. Inevitably, Meyer Meyer accompanies Carella on this case. There are plenty of amusing and fascinating asides about Meyer and Jewishness. The murderer must surely be a Jew-hater – particularly since the letter ‘J’ was painted on the brick wall next to the corpse. ‘Storm’ (1962) features Cotton Hawes on weekend vacation to a ski resort with a lady friend, Blanche; he has booked separate rooms in the Rawson Mountain Inn. Unfortunately, the heating only seems to work in one of the bedrooms… Before long, however, he is faced with the death of a female ski instructor, stabbed with a ski pole. McBain then gives us two pages of how Hawes got to know death intimately over the years, starting as a rookie and then as a young detective. He’d vomited in the early days, but not any more; he’d seen too much. But then, and now, he still got angry. Anger that could consume him. And here, out of his jurisdiction, he has to contend with the local police who seem incompetent. 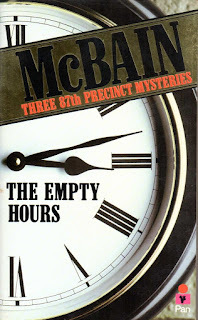 McBain’s 87th Precinct novels and stories are written in the omniscient point of view and yet have plenty of interior ratiocination on life, love and death from the regular characters. We get to know these guys, their fears and foibles, and their determination to bring the perpetrators to justice. And that’s why he can write about any one of the precinct characters – as in ‘Storm’ – because he knows them so well. McBain (real name Evan Hunter; he also used about six other pen-names) wrote his first 87th Precinct book in 1956 and was prolific and greatly respected as a writer. He died in 2005. For January through to today, I've written about 29,000 words for this particular book. Not as much as I'd planned, due to a variety of circumstances, but the end is near. Why the sudden drop on 7 March...? Our daughter Hannah, who has the same virus, was rushed to hospital with pneumonia. She is on the mend, being well looked after. Jen and I have our two grandchildren staying with us now, and we take them to nursery/school each morning, and collect them in the afternoons; and feed the two dogs and three cats... Family comes first, it goes without saying. The children have been very good. As I mentioned before, I’m busy on devoting my writing time to finishing a couple of books, so I’ve neglected blog posts. There are certainly many subjects I’d like to write about, not least the Brexit nonsense and the definition of ‘flee’ in the European immigrant crisis reporting context. But these books demand to be completed. Annoyingly, both Jen and I – and our daughter Hannah – have been hit simultaneously by the ‘global’ virus. It clobbered us on 27 February and reduced the word-count output somewhat. On Wednesday (2 March) we made an appointment to see our doctor for Thursday (3 March) and duly came away with cough mixture and antibiotic treatments. As a result, the word-count yesterday is much better than it has been for four or five days, anyway. Despite the illness, that’s a reasonable total of 12,287 words for 9 days. Not as much as I’d planned, naturally (about 4,000 less, I reckon)! It’s fortunate that I have a plot-plan to work to. There are still plenty of changes/tweaks on the way, but that plan helps me move forward, even when feeling less than fine. So, my continued apologies for not posting here recently – and for a while hereafter too.